Abbie joined Pure Dental in June 2017 as a Trainee Dental Nurse. Before this, she travelled South East Asia for 4 months and lived in the Alps for 6 months. Abbie has always loved the idea of working as a Dental Nurse so when the job opportunity at Pure Dental came up, she had to apply! Abbie has definitely found her calling as a Dental Nurse and is excited to learn every aspect of the role with her training. Outside of work, Abbie spends a lot of time exploring Cornwall with her dogs. She also really enjoys skiing and travelling to new places around the world. 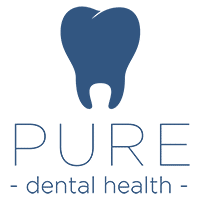 Joined Pure Dental in June 2017 as a Trainee Dental Nurse.